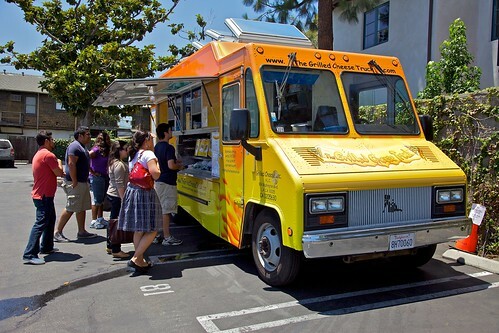 The Grilled Cheese Truck makes a stop in Pasadena. Posted to Flickr. People rushing out there at the cheese truck. The moving truck really save the time of peoples form going to the shop and buying it and all that.